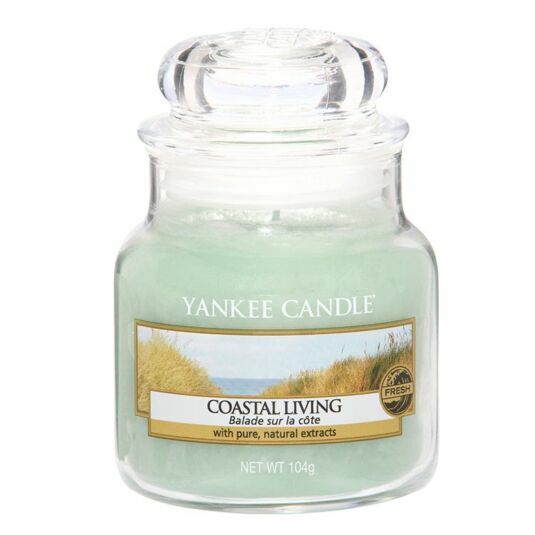 Take a stroll along a coastal path, waves crashing in the distance and the wind whistling through the wild grass, with this range of revitalising and fresh scents and this Coastal Living Small Jar from Yankee Candle, part of the Coastal Living range of fragrances. An intriguing mix of sea air salt and blooming coastal flowers carried on a warm ocean breeze. Top notes of sea salt mingle with middle notes of lavender and marine flower, finishing with base notes of moss and coral musk.